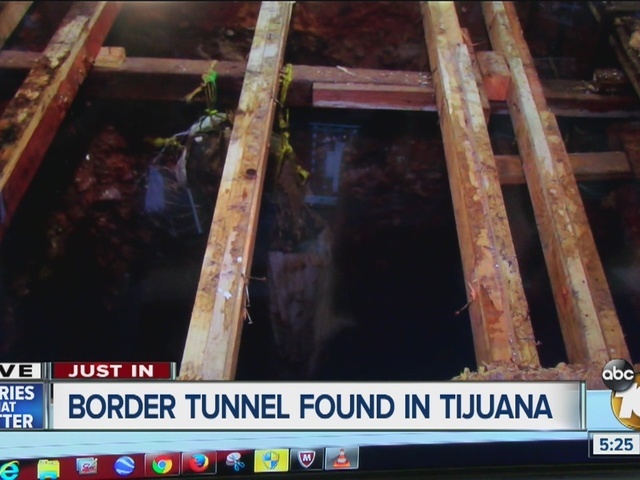 An approximately 30-feet wide border tunnel was found in Tijuana on Tuesday, about 720 feet from the border fence. The incomplete tunnel was collapsing when it was found, according to authorities. The tunnel was found on a property where other tunnels have been discovered in the past. Authorities also found two packages of crystal meth and some marijuana at the location.